A new UN report has revealed that 137 women are killed each day by someone they know, somewhere in the world. 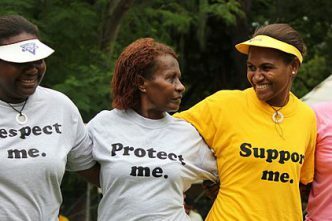 The UN Office on Drugs and Crime concluded that no tangible progress has been made in recent years in protecting vulnerable women and proposed a suite of measures to support action and awareness. The report was launched on International Day for the Elimination of Violence against Women and is part of a larger study on homicide trends. The day also marked the start of 16 days of activism against gender-based violence, which finishes on 10 December. Yemen has been labelled ‘the world’s worst humanitarian crisis’ and its impact on women and girls is devastating. Decades of increasingly conservative policies have eroded the status of women. Out-of-control inflation has led to young girls being pulled from schools and forced into marriages and gender-based violence has escalated as the conflict drags on. Despite women campaigning for a peaceful settlement, their voices aren’t being heard by the Yemeni government and the international community. North Korean women defectors are at a high risk of being trafficked and sold into China, where they are subjected to torture, sexual violence and intimidation by their ‘husbands’. Their children are often most vulnerable; even when they arrive as asylum seekers in South Korea, they are deprived of the welfare rights granted to North Korean refugees. Seoul plans to reduce welfare funding for North Korean defector families by more than 30% in next year’s budget. The Oxford handbook of women, peace and security, edited by Australian academics Sara Davies and Jacqui True, was launched on 29 November. It celebrates two decades of the women, peace and security agenda and ‘is a counterpoint to the pessimism … about the achievements of WPS and the major challenges to realising peace and security’. A comprehensive volume comprising 67 chapters, it catalogues a vast diversity of women’s experiences in creating and improving global peace and security. 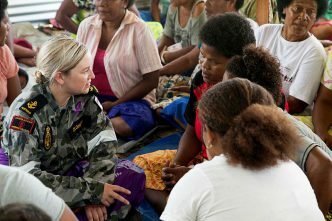 In an article published on The Interpreter, University of Queensland academic Nicole George notes that although customary traditions provide a role for women to participate in conflict mitigation in Bougainville and Solomon Islands, their involvement is limited by ‘feminised norms of gender appropriateness’. She argues that the most effective way to improve women’s involvement in conflict resolution would be through a greater study and understanding of how peacebuilding environments are affected and ‘gendered’ by various actors, both internal and external. Female officers are major contributors to the success of UN peacekeeping missions. Nigerian police superintendent Catherine Ugorji is one of the few women serving in Mali on a high-risk UN-led peacekeeping mission. Her work as a police officer has exposed her to many dangers while on patrol. Despite the hostile environment, she has contributed to lifesaving intelligence-gathering from local women while on foot patrol. As well as facing danger on duty, women in peacekeeping also must contend with internal opposition and the threat of sexual assault from their male counterparts. Sweden’s parliament voted in favour of a law to invalidate child marriages carried out overseas, in response to the wave of refugees coming from countries where the practice is more common. From 1 January, the law will prohibit and invalidate marriages involving people under 18 years of age—echoing decisions reached in the Netherlands, Denmark and Norway. Child marriages disproportionately affect girls, increasing their exposure to poverty and violence. The first US federal case involving female genital mutilation has resulted in the 1996 federal ban being ruled unconstitutional. A Michigan district judge ruled that Congress does not have the authority to ban the practice because that power lies with the individual states. The decision has been widely criticised as making girls more vulnerable in the 23 US states that haven’t banned it. An estimated 513,000 girls in the US are at risk of or have been subjected to genital mutilation. Tunisia has approved legislation giving men and women equal claims to inheritances. The law sparked mixed responses, with some arguing it contradicts a passage in the Koran that says a man’s share should be twice that of a woman. However, Tunisian President Beji Caid Essebsi said the law reflects the foundations of the state wherein men and women are equal. The move has been hailed as a step forward in progressing women’s rights. 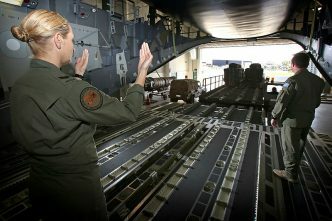 A study in the UK has found that women are physically as capable and tough as men. Tests were carried out on an all-female team who underwent extreme physical preparation before a 1,699-kilometre Antarctic trek. Post-expedition monitoring by researchers on the team’s level of stress, reproductive and metabolic hormone levels, body weight and bone strength found no worse health effects than would be expected in men. 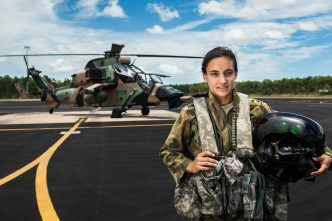 Earlier this year it was announced that all roles in the British Army would be made open to women. The Philippines’ first women and children protection unit has been established in Marawi in Lanao del Sur province. 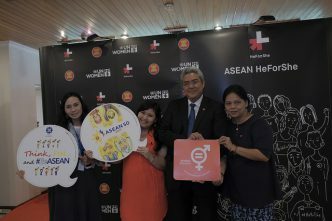 Developed in partnership with the UN Population Fund, the Philippines Health Department and Amai Pakpak Medical Centre, the all-women team will enhance access to medical, mental health and police services for survivors of gender-based violence. Women and children are more vulnerable to gender-based violence during conflict, and while the Marawi siege has ended its effects are ongoing. A team of women are launching an ambitious first-of-its-kind female-only space program in Kyrgyzstan. The head of the group, Alina Anisimova, who teaches coding, robotics and wiring to her team, said the aim is to inspire girls and show them that ‘women can work in technology and succeed’. The team’s primary objective is to build a functional satellite that can be launched into space by 2020. A century ago women gained the right to vote in the UK. To mark the occasion, 120 female MPs from 86 countries gathered to celebrate achievements and discuss how to encourage more women to run for parliament. In the past 100 years there have been 491 female MPs, compared to 441 male MPs serving this year alone. Part of the problem is a lack of transparency—in the UK, for example, political parties don’t report how many women they nominate for election. Aakriti Bachhawat, Aru Kok, Georgia Grice and Rebecca Moore are research interns at ASPI. Edited image courtesy of UN Women.